This sign is for Firestone Fum Dipped Tires. The sign’s colors are orange, blue, and white. 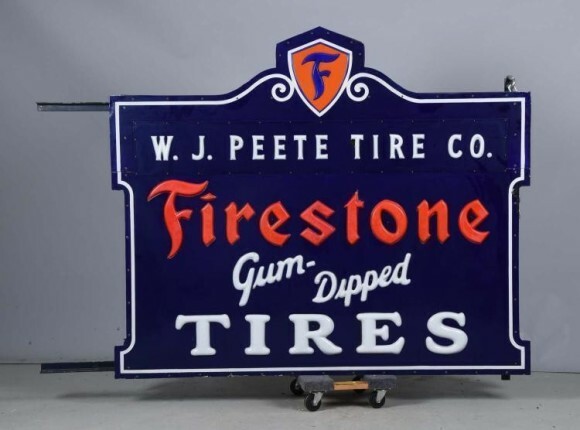 The text on the sign reads: F WJ Peete Tire Co Firestone Gum Dipped Tires. The sign shows a large die cut sign with the logo in the center and the top, and surrounded by text.